Ice storms are not uncommon during Central Ohio winters. The branches of this tree were encased in ice and I thought it would be interesting to take a flash photograph of it in the darkness of the night. Not having a tripod with me I made this exposure as a breeze began to blow. 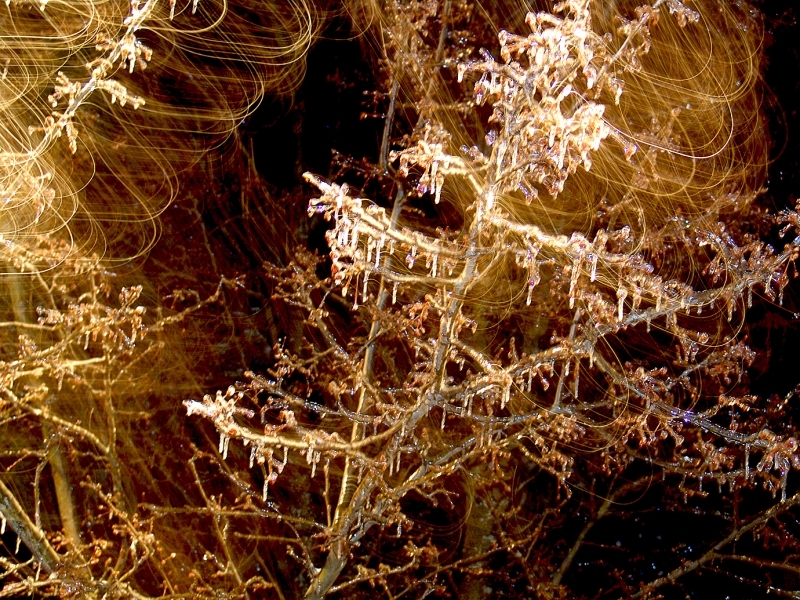 The resulting swirls of light reflected off the moving iced branches made for a fascinating image.